 Just for Kids Eyewear is conveniently located within The Children's Eye Center office suite next to the waiting room. At Just for Kids Eyewear we specialize in children's eyewear, from infants through young adults. We can fill any doctor's prescription and have the expertise to often fill complicated prescriptions that other optical shops cannot. Our optical staff have over 15 years of experience to ensure that each pair of glasses will be expertly measured, crafted, and fitted. With over 1000 frames available, we carry the largest selection of kids frames in Southern Colorado. All of our frames are of the highest quality and have a 1 year warranty. Styles range from flexible twist frames, sports goggles, and swim goggles. Featured brands include Ray-Bans, Miraflex, Nano, ZooBug, Europa, Nicole Miller, Champion with 180 degree flex temples, Tomato glasses, Nike, and performance eyewear by Liberty. Most services and repairs are done in-house to ensure the highest quality and provide faster service. We can order lenses without keeping the frames, so you or your child are not without your glasses for a prolonged period of time. When your lenses arrive we can usually insert them in about 20 minutes. Polycarbonate lenses are used automatically for all children's glasses because they are impact resistant and provide protection from potentially damaging UVA and UVB rays. We offer several lens upgrades including Zeiss DuraVision® non-glare coating, Zeiss digital lenses, Zeiss DuraVision® Blue Protect, and Zeiss PhotoFusion® lenses. Zeiss DuraVision® coating is a premium anti-reflective coating, which reduces reflected light from the lens. It also has properties to resist scratches better than standard anti-scratch coating. Zeiss digital lenses offer a wider field of view with less distortion providing a high-definition visual experience. Zeiss PhotoFusion® lenses change from light to dark depending on the amount of UV rays throughout the day. They do this up to 40% faster than other leading photochromic lenses. We fit all types of contact lenses for children. We schedule up to one hour for contact lens insertion and removal training and our doctors always check to ensure proper fit of the contact lenses. Our office hours are from 8:30 am to 5:00 pm Monday through Friday. We close for lunch from 12:00 pm-1:00 pm. No appointments are necessary to browse for glasses or to get repairs or adjustments.